SAN FRANCISCO, CA--(Marketwired - Mar 24, 2014) - The inventor of today's widely-used cloud billing solution Aria Systems commends a story published by Forbes on the importance of "agile billing" behind increased sales and profits. The story, titled, "Agile Billing - The New Essential for Business Innovation," was written by Andrew M. Daily, managing director of strategic advisory firm MGI Research. Brendan O'Brien, co-founder and chief architect of Aria Systems, says he agrees with Daily's observation that billing systems, once "the domain of back-office clerks, billing and monetization processes and solutions, are becoming critical ingredients enabling corporate innovation." "We've been saying this very same thing for years," said O'Brien. "The innovative corporation has come to realize the importance of billing in its ability to stay competitive in a fast-changing marketplace with ever-fickle customers. They are rethinking how their billing departments should operate, which in turn is revolutionizing how they conduct sales transactions with their clients and customers." O'Brien, will be speaking Tuesday, April 1, 2014, at the Interop Conference in Las Vegas, on the topic: "Beyond Billing - Getting the Most from Recurring Revenue." "Boardroom pressure to deliver revenue growth and gain competitive differentiation is pushing companies to create new products and services," Daily wrote in the contributed story dated March 17, 2014. "Customers are demanding more granularity, flexibility, and transparency with prices. The combination of these forces is driving companies to re-think their billing systems." "A multi-billion dollar elephant can now dance like a fleet-of-foot midsize business," added Daily. "For large companies with complex pricing models, multi-tiered sales and distribution channels, and shrinking margins (or simply the pressure to deliver ever increasing margin improvements), an agile billing solution is a competitive tool." O'Brien said he couldn't agree more with this acute observation. Aria Systems is the top provider of cloud-based recurring revenue management services, with global businesses across all sectors adopting recurring revenue models in ever larger numbers. Recurring revenue gives these corporations the agility they need to keep pace with customer demands in the 21st century. Over the past few years, O'Brien noted that successful businesses ranging from Adobe and Amazon to Target and Toyota are adopting or testing new billing practices under the recurring revenue banner. "They are at the leading edge of the change afoot in today's increasingly digital economy," O'Brien said. "It's disruptive, and changing every possible vertical industry." "In today's cloud-based environment, enterprises large and small are embracing varying recurring revenue business models including subscriptions, consumption, freemium, tiered etc., which requires a very agile approach to modern-day billing," said O'Brien. "These new models can drive greater revenues over time but they must focus on the customer and not the process." Many companies often discover that their standard billing system can't truly support a successful recurring revenue business. Consider downloading the Beyond Billing e-Paper to help you understand what your company may need for effective recurring revenue management. 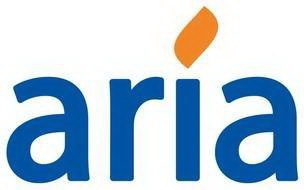 Aria Systems delivers an enterprise-grade recurring revenue management solution so businesses can grow new revenue streams and optimize the lifetime value of their customer relationships. Industry leaders like Pitney Bowes, Experian, AAA NCNU, VMWare, HootSuite and many others have chosen Aria to grow their recurring revenue business. Learn more about us at www.ariasystems.com.